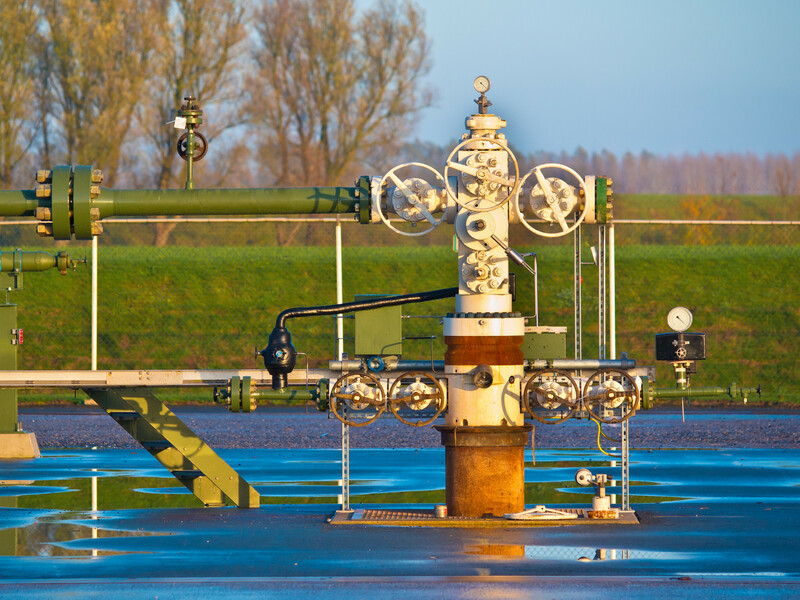 Antero Resources (NYSE: AR) has quickly grown into one of the largest natural gas producers in the U.S. thanks to its prime position in the country's biggest shale gas region. That high-octane production growth, however, hasn't created any value for the company's investors as shares of the natural gas giant are down more than 80% since it came public in 2014. As a result, Antero Resources is in the process of shifting gears from growing as fast as it can to seeking ways to maximize shareholder value. The company anticipated that it would hit a key inflection point on this strategy during the fourth quarter, which is one of a couple of things investors should keep an eye on when it reports those results later this week. CFO Glen Warren noted in Antero's third-quarter report that "[t]he operational achievements realized through the first nine months of 2018 provide Antero with significant momentum as we exit the year. The robust quarterly activity, combined with the strength in liquids pricing, positions Antero for an exciting inflection point of generating strong operating cash flow with capital discipline in the fourth quarter of 2018." Warren went on to note that natural gas liquids (NGLs) prices had risen 19% year over year at that point, which positioned the company to cash in during the fourth quarter since it was one of the largest NGL producers in the country. However, a lot has changed since he made those comments. For starters, the price of oil crashed during the fourth quarter, which took NGL prices with it. On the other hand, the company noted in a market update in mid-December that some key infrastructure recently started service. The Sherwood Lateral on pipeline giant Energy Transfer's (NYSE: ET) Rover System, for example, came on line during the quarter, enabling Antero to shift more of its gas production to higher-value Midwest markets, which Warren noted was "substantially offset the negative impact of lower oil and NGL prices during the fourth quarter." In addition, the company also started exporting ethane shipped via Energy Transfer's Mariner East 1 pipeline through its Marcus Hook terminal during the quarter while the start-up of Mariner East 2 enabled it to begin transporting propane and butane to that facility. Investors should see if those infrastructure improvements enabled the company to achieve its aim of generating free cash flow during the quarter. In early January, Antero Resources unveiled its capital plans for 2019. The natural gas driller said that it would cut capital spending from last year's range of $1.35 billion-$1.4 billion down to $1.175 billion-$1.35 billion due to the recent volatility in the oil market. While that would still provide the company with enough money to grow production 17% to 20% this year, that's a slightly slower rate than the 20% it expected to increase production last year. Another reason Antero Resources cut capital spending was so that it could generate more free cash flow, which it intended to use in repurchasing its stock. The company had already repurchased $129 million in shares during December, retiring 3% of its outstanding shares, as part of a $600 million program it authorized last year. With Antero's stock continuing to fall despite the backstop of the buyback, investors should see if the company makes any more changes to its 2019 plan, such as cutting spending further so that it can generate more free cash to repurchase shares. Antero Resources has discovered that growing production as fast as it can hasn't paid off for investors. Consequently, the company is changing its strategy, aiming instead to increase free cash flow so that it can return more money to shareholders. It should have hit a key inflection point in that strategy shift during the fourth quarter, which is what investors should pay the most attention to when the company reports those results later this week. David and Tom just revealed what they believe are the 10 best stocks for investors to buy right now... and Antero Resources wasn't one of them! That's right -- they think these 10 stocks are even better buys.